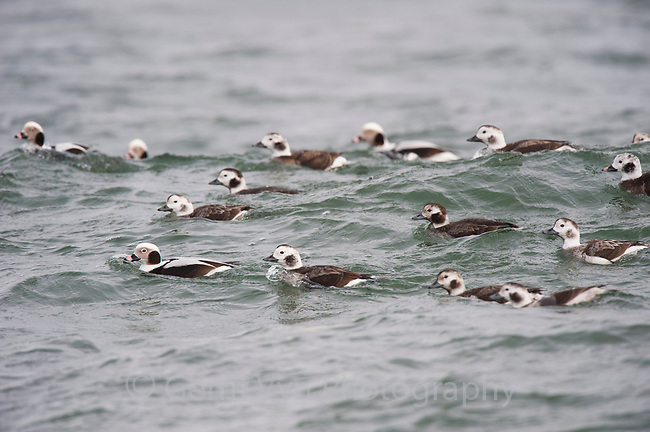 Male and female Long-tailed Duck (Clangula hyemalis) in basic (winter) plumage. Ocean County, New Jersey. January.